Nina joined the DCU Educational Trust in March 2017 as Executive Assistant to the Chief Executive Officer. 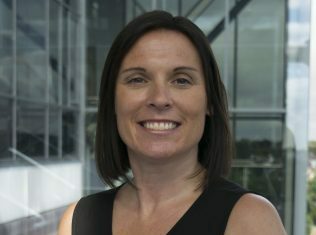 She is a key representative of the CEO and the DCU Educational Trust within the university as well as to friends and supporters of the organisation. Nina provides proactive, efficient and organised support to the CEO to enable her to focus on key organisational issues. Nina has over 15 years’ experience working within Senior Administration/Executive Assistant/Human Resources roles and has considerable experience in finance, accounts, marketing initiatives and client management. Nina holds a First Class Honours BSc in Management from Trinity College, Dublin, a Higher Diploma in Hospitality Management from DIT and a Diploma in Digital Marketing. She is also Chairperson and Fundraising Coordinator of Holy Family National School Parents’ Association, Swords, Co Dublin where she has worked closely with two principals, staff, parents and 1,400 pupils to redevelop the Association’s fundraising activities.